Because the nature of New Product Development (NPD) is highly creative, iterative and collaborative, its total outsourcing can end up failing even in the hands of the most able intra and entrepreneurs. This webcast will debate the pros and cons of NPD outsourcing, out-tasking and introduce a new concept called co-sourcing. Live monthly webcasts for new product development professionals. 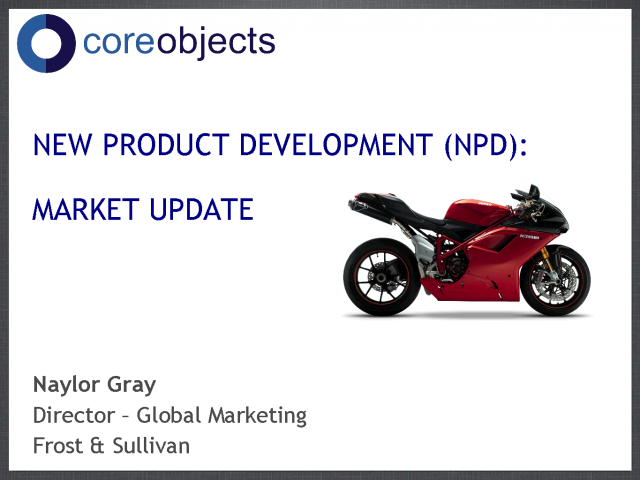 The CoreObjects Channel is designed for new product development, management, & innovation professionals. Each month we will bring you the latest thought leadership around technologies, trends and best practices for new product development and innovation.